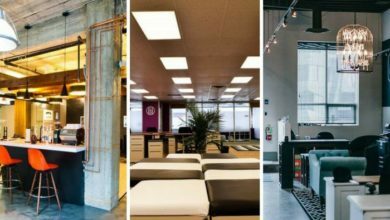 Browse the coolest coworking spaces of Vancouver BC. The number of Coworking spaces in Vancouver has doubled over the last year and the credit for this growth goes to the rising trend of Coworking. Canada is a country that follows the futuristic things early and sets the trend for the rest of the world to follow. 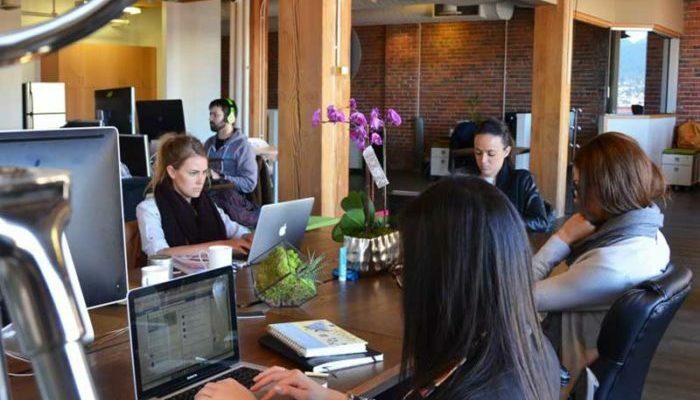 Vancouver coworking is one such example. 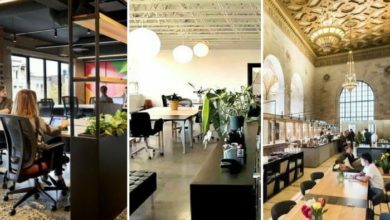 From the main Downtown area to nearby suburban regions, there are a lot of coworking spaces in Vancouver. Let’s browse through the famous ones and know what they have on offer. 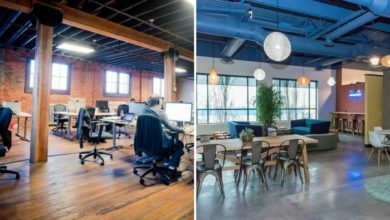 At Coworking Mag, we have tried to list the best spaces to cowork in Vancouver along with their membership plans and pricing details. Scroll down. 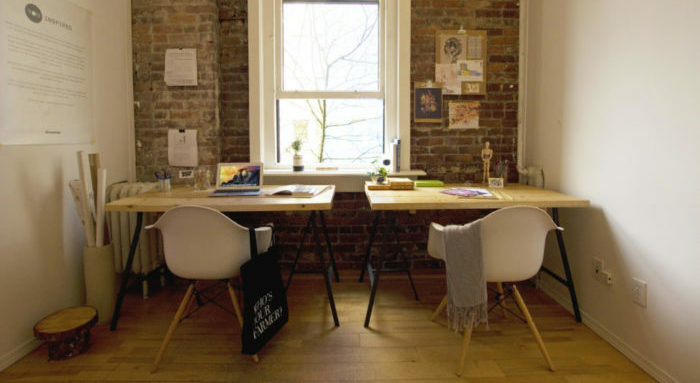 Located in the Gastown area, L’atelier is one of the best coworking space in Vancouver city. 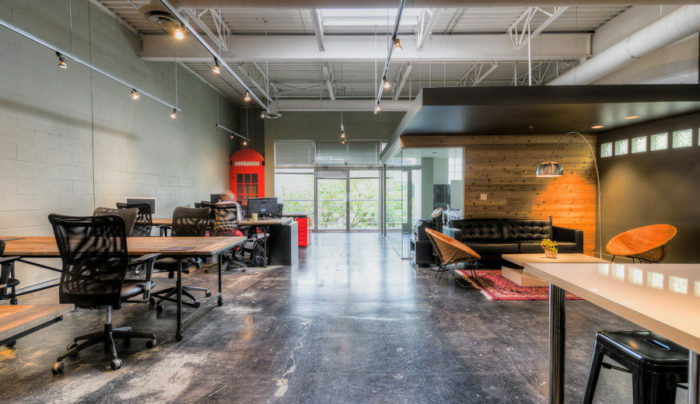 Atelier means The Workshop in French and hence this coworking space Vancouver serves as a shared office to many artists, designers, content creators, marketers and other professionals. They have got the options of a hot desk as well as dedicated desks and also have special meeting rooms and event space. Location: 319 W Hastings St #400, Vancouver, BC V6B1H6, Canada. 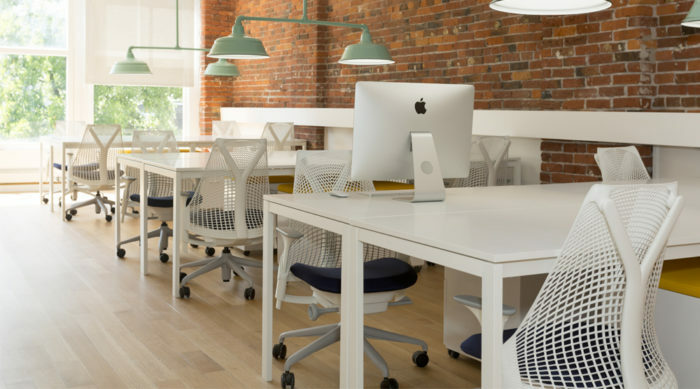 Pricing Plans: L’atelier coworking space Vancouver offers a wide variety of pricing plans. Day Pass costs $35 with a full day access. 1 Week pass (5 consecutive days) will cost you $150. You can even opt for 40 Hours in a month that will cost you $150 or 80 hours of hot desk access in a month at $200. If you are looking for a monthly access, then they have a Freelancer Plan that gives you unlimited access to hot desk priced at 250 CAD. A full time 24-hour dedicated desk at Vancouver’s L’atelier coworking will cost you $450 per month. Another good coworking space in Vancouver is The Network Hub. It is located inside a heritage building in the Downtown area giving it one of its kind looks. They have been into the coworking world since last 10 years and hence have people from big corporates like Facebook, Google, Instagram, Adobe, Netflix, eBay, Dell as their clients. A kitchen, meeting room access, printing and scanning service, property insurance, front reception and 24/7 access are some of the perks that they offer. Address: 422 Richards St #170, Vancouver, BC V6B2Z4, Canada. Membership Plans: Pricing plans at The Network Hub start from as low as just $5 per hour making it one of the best yet cheap coworking space Vancouver. A 1-day pass will cost you $35 and monthly passes start from 250 CAD. With a tagline – Sweet Social Impact, Hive coworking space in Vancouver is a community of over 150 people with a cafe-like studio culture. They believe in hosting businesses and individuals who put goodwill above profits. Kitchen area with unlimited tea and coffee, weekly member meets, front reception, meeting room, event space, bike storage are some amenities being provided here. Charges: The membership to this coworking space Vancouver starts from $30 per month which is the basic community membership. Hive Vancouver has 5 different plans for Hot desk and 3 for a dedicated desk. Hot desk options start from $49 for 5 hours per month. Other hot desk options include $105 for 20 hours a month, $209 for 50 hours a month and $315 for 100 hours in a month. 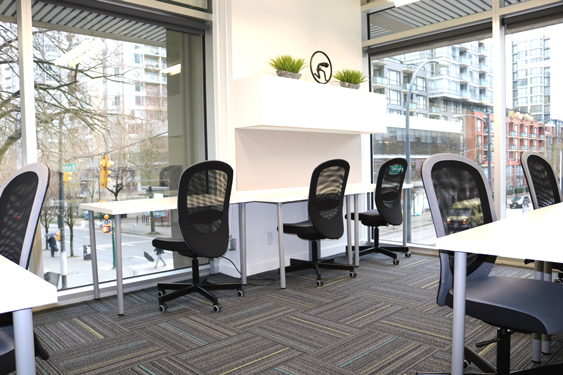 Unlimited access to hot desk option at Hive Coworking Vancouver is available for $369. All dedicated desk plans come with storage and 24/7 access. Narrow wall desk will cost you $415 per month, an interior desk costs $499 and if you wish to have a dedicated work desk by the window side, then it will cost you $575 per month. Suite Genius has 2 coworking spaces in Vancouver at different locations. Suite Genius Kitsilano and Suite Genius Mt. Pleasant both are awesome shared office workspaces that attract a large chunk of people who prefer to cowork in Vancouver BC. They have private offices, shared office space, hot desk options, phone booths, lounge area, a kitchen, meeting rooms and all amenities that you might need at a good coworking space. The best thing about Suite Genius is that you can work from any of their location in Vancouver with any plan. Membership Pricing Plans: Community membership with 1-day access to Suite Genius coworking space Vancouver in a month costs $45. Another part-time plan named Virtual Genius with 4 days a month access costs $95. Full-time access to a hot desk is priced at $295. If you wish to have 24/7 access and a dedicated desk at Suite Genius coworking Vancouver, it will cost you $495 a month whereas a private office for a small team will cost you $1195 a month. If you live in the Surrey area and are looking for a coworking space in Surrey Downtown, then this might be a good option for you. With an area of 4000 sq feet, Beta Collective coworking Surrey provides shared office space, fully furnished private offices, event space and meeting rooms. Other facilities include an open area with TV, a kitchen and free parking for members and visiting clients. Plans & Prices: Hot desk at beta Collective Coworking space Vancouver start from as low as $125 in which you get access to a shared office 2 days a week. 24/7 access to the hot-desk can be availed at $175 per month while a dedicated desk with 24/7 access will cost you $265 a month. Private offices at this coworking space start from $750 per month. They also virtual office options with mail and phone plans starting at $25 a month. Vancubers is yet another great coworking space Vancouver based in the main downtown area. 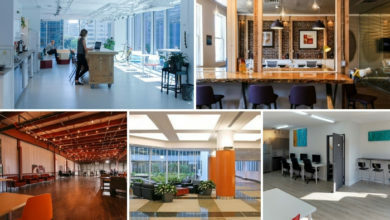 Owned by a software company their main motive is to let freelancers, startups and entrepreneurs rent office space at affordable rates in the highly priced real estate rental sector. Their coworking space consists of open area, private cabins, a kitchen, unlimited internet and printing facility. Membership Fee: Hot desk for a single day is only for $25 making it one of the cheap coworking space Vancouver out there. Monthly plan for hot desk costs $140. A dedicated desk at VanCubers Coworking will cost you $400. An option for smart dedicated desk is also available at $450 where you get a 24” monitor, connectors for Mac and PC along with wired keyboard and mouse. 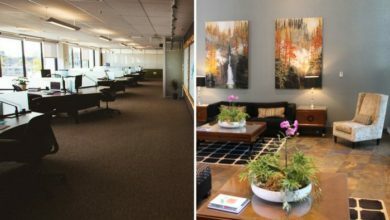 In case you are looking for a private office space inside a shared office in Vancouver, then it will cost you $1260 per month for 3 to 8 people here at VanCubers. 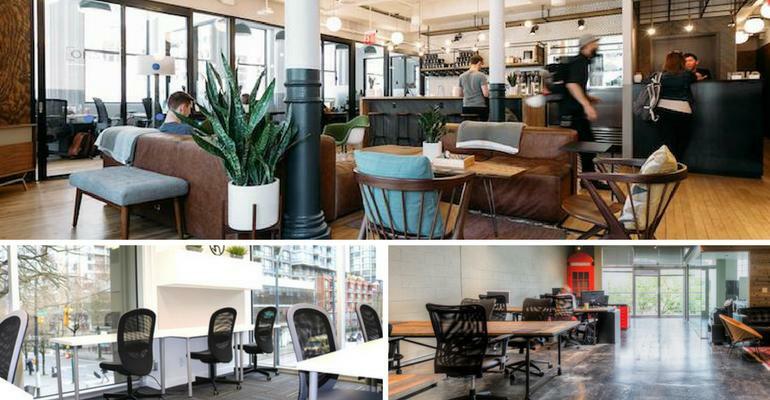 With over 3 different locations at Gastown, Downtown and North Vancouver, The Profile Coworking is one of the most famous shared office space in Vancouver. The best thing about The profile coworking is that by taking a membership plan, you can work at any of their locations. Location 3: 120 Lonsdale Ave North Vancouver BC. Pricing & Rental Plans: Membership at the profile Coworking space Vancouver starts from $25 per day where you get access to the lounge area with all facilities. 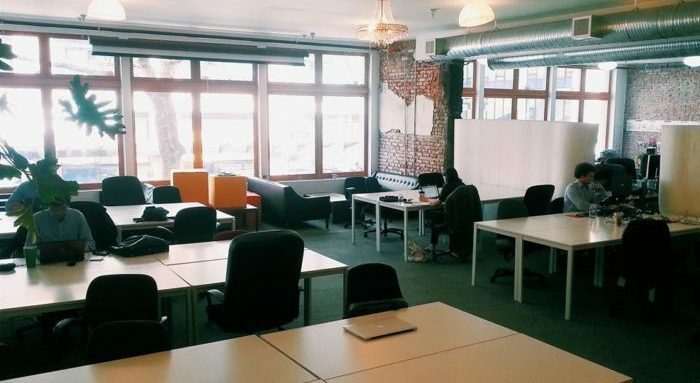 Community membership at this coworking space will cost you $275 with 24/7 access to the place. If you wish to go for a dedicated desk, then the pricing for the same starts from 375 CAD per month. Another good option available here is that of a team desk which generally is for 2 people. This has been priced at $445 a month. 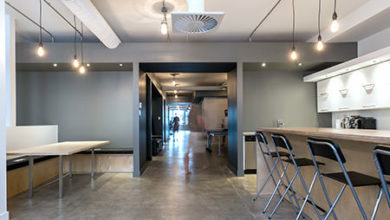 Private offices at The Profile Coworking Space Vancouver start from $685 a month. Known for coworking and shared offices all over the world, WeWork has got a coworking space in Vancouver at Burrard Station. This office space is spread across 5 floors of a building and has a lot of people coworking here. From unique common areas to conference rooms and from free fruit water to printing services, We Work Vancouver is a delight. Membership Price: Pricing at WeWork Vancouver starts from $450 a month for a hot desk and $600 per month for a dedicated desk. Private office for 2 will cost you $1640 a month. The prices are higher as compared to other coworking space Vancouver but the location and services offered to make a difference. No matter where in Vancouver you live. 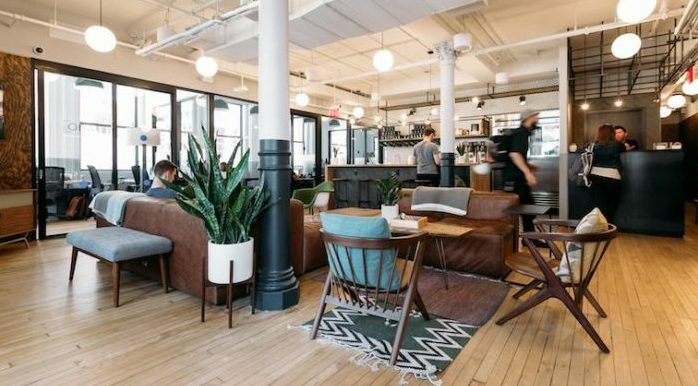 You’ll easily find a coworking space near you. It is better to explore a workplace before finalizing it. We know that apart from location, pricing is also an important factor to be considered and hence we have given an idea of pricing for the best coworking spaces in Vancouver. Happy Working!